David Jenyns "MetaStock & System Design Expert"
• be confident I know what I'm talking about. Let's face it. The web is so anonymous that anyone can pretend to be anything and get away with it. But you have not come here for vague, hyped-up, non-verifiable claims. 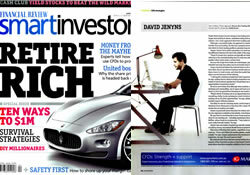 David is recognized as the leading expert on both MetaStock and profitable trading system design. He earned this title after working at Ord Minnett (one of Australia’s top brokerage firms) and training hundreds of traders at HomeTrader (Australia's leading stock market education company). 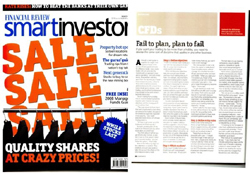 Featured in many trading journals and magazines, including Chartpoint, Smart Investor, Your Trading Edge, The Australian Financial Review and the Guppy Traders Newsletter, David's trading methods give readers immediately actionable strategies. David now trades professionally, actively runs seminars, one-on-one training and designs mechanical trading systems for his top end clients. David advises, "Trading is not a get rich quick philosophy. It is a profession that takes time to master but the rewards are worth it." He consistently motivates scores of people to succeed in trading the markets … now – it is your turn. Would you like to ask David a question? Click Here to submit a ticket to our support center. "Finding someone who is skilled at using Metastock and who is prepared to share that knowledge is difficult. David has the knowledge and he shares it." "I have been in business for more than 20 years. During this period I have come across all sorts of people and majority of them, particularly business people, look for a method to "get one up on you". One can't help but to form a view of "standard business person". There are always exceptions, and my opinion is that you are a very pleasant exception to the rule of a standard business man. There are marketing methods, and there are marketing methods. Your approach is the one that is certainly a very preferable one. With your concern on wanting to deliver correct product, rather than maximise sales, is very touching. You are the type of person that I would feel very relaxed to do the business, knowing full well that I will get good value for the money." "Yes, I've been burned. I listened to and read the pitch of a pressure salesman who convinced me to begin trading in options, after a paper trading couple of months. His teaching package wasn't cheap. But now I knew a few things. The paper trading was a roaring success; I was certain all I needed was a few tweaks and I would inevitably become a very wealthy man. After all, I had just made $40,000 in 3 months on paper. The transfer from paper to the real thing was a jolt to the system. Of course I didn't understand the precarious nature of those specific calls and puts. And I think the only real win I had resulted from breaking the rules anyway. Why did the stock I took a call in always seem to fall and my puts rise? I had signed up for yout emails early on, and their tone appealed to me. But of course I was on a crusade with the other guy and I couldn't blink first. My trading was frenetic. And I managed to lose 80% of my bank in a month. Recently, I sort of picked myself up (I didn't even listen to the stock report for a couple of months), dusted myself off and read the backlog of emails. After I'd read three or four of yours and got into Ultimste Trading Systems the answer burst on me like the clearest peal of a Sunday Church bell. You've got to find your guru, you've got to find your market, and you've got to develop your system. I had never felt comfortable with anything in the other course, except the illusory promise of fairly consistent 30% trades in 1-6 days,etc. The answer is me. So naturally, inevitably, here I am. Your approach is comfortable for me; your approach is paced and pitched to my liking, and your material is spot-on to address my specific needs. So, thanks for being persistent and frequent with your emails; most importantly, thanks for rekindling my entusiasm in the face of my otherwise abject failure in my new chosen profession. I remember reading a testimonial on your website which suggested you display to a high degree the attributes people used to associate with a gentleman businessman. No one could say it better. Thanks again. These days the first thing I do when I get home from work is check for your emails/links." "My dealings so far with David have been excellent, he has been most helpful in clearing up many questions and problems ive come across. Its very good to know theres someone to help. 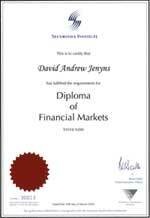 "David Jenyns is one of the most sincere, ethical and sharpest traders I know. His style of teaching makes the learning process both very enjoyable and easy to follow. While he may be young, Dave has years of excellent experience as a professional trader and coach, plus he learned from some of the best during his development. If you are looking to be a successful trader and enjoy all that trading has to offer, Dave is definitely a man of integrity and generosity that you should make part of your master mind group." In his former professional life, Stuart was a full time Army officer in the Australian Army. He graduated from the Royal Military College, Duntroon (the Australian Army's highly renowned officer training institution) and spent 10 years in the Australian Army. He started trading in 1996. However in January 2000, he resigned from the Army and began to trade his own account very actively as well as regularly conducting personal coaching, helping fellow traders discover a trading approach that is right for them. To date Stuart has authored numerous best selling trading books and courses including Trading in a Nutshell, 2nd Edition and the MetaStock Programming Study Guide (co-author). He has a Bachelor of Professional Studies from the University of New England and a Graduate Diploma of Applied Finance and Investment from the Securities Institute of Australia. Stuart has presented lectures at the Australian Securities Exchange, at Traders' Expos around Australia, for the Australian Technical Analysts Association, and at the Asia Trader and Investor Convention in Singapore, Kuala Lumpur, Ho Chi Minh City, Shenzhen and Bangkok. Stuart has been interviewed by the leading Chinese trading magazine (Weekly on Stocks), and the VN Express newspaper in Ho Chi Minh City. Stuart now trades professionally, actively coaches traders on a personal level, and runs workshops throughout South East Asia concentrating in Singapore and Malaysia. He also regularly speaks to smaller trader's clubs and informal groups of traders and investor clubs. Stuart truly understands the importance of you finding a trading plan and approach that is right for you. 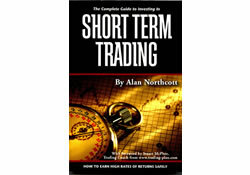 With his honest and clear style, he has helped thousands of people with their personal trading. He is an excellent motivator, teacher, and is technically competent, and now it is your turn to be helped. Why David & Stuart Co-Authored the MetaStock Programming Study Guide? The idea for a MetaStock Programming Study Guide belonged to both Stuart McPhee, author of 'Trading in a Nutshell', and I. 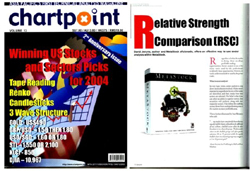 By working with the same share trading education company we have both spent a considerable amount of time with fellow traders, many of whom use MetaStock. One thing that astounds us is the difficulty that most people have using the software to its full capacity. Granted, almost anybody can open a chart and plot some indicators, but for too many, this is the extent of their proficiency. The beauty of MetaStock is not its ability to graphically represent market data in a chart, but its incredibly powerful analytical functions that enable the user to program in their own individual requirements. The actual text that is the product of the coding or programming is also often referred to as ‘MetaStock formula’. This seems to be where most people have great difficulty. Moreover, those people who are struggling with this side of the software find themselves focusing a lot of time and energy in trying to understand the programming. This is obviously to the detriment of their actual trading. I’ve lost count of the number of people I have asked “How is your trading going?”, only to hear them say that they have not started because they are still trying to understand MetaStock. It's amazing but most people don’t even know the power within MetaStock. I had seen the same situation with so many people that I decided enough is enough. Something had to be done to alleviate the difficulty being experienced by all these traders. We set out on a search to locate a comprehensive guide or something that taught users how to program MetaStock. Something both beginners and intermediate users could use. Something that was step-by-step, complete and most importantly... FUN! We couldn’t find anything suitable and hence, the MetaStock Programming Study Guide was born. Metastock® is a registered trademark of Equis International. This website, and the activities conducted via this website are in no way related to, authorised, sponsored or approved by, Equis International.